Are you thinking about leasing Apple iPads or tablets for your classroom but do not know how you will use them? Here are some great ideas and tips for how to get the most from your devices. When it comes to technology and education, tablets are the new holy- grail! It is no wonder; they really are a fantastic addition to the classroom. Discover 360° videos. You can find so many resources made in 360° video by just Googling it. There is a large library available on YouTube and FaceBook also. If you want to take your class on a trip in to a black hole in space or surfing USA with a 360° virtual reality view, you can use your tablet or iPad. By moving the device and pointing it in different directions you can see all aspects of the view. This is particularly great for exploring different topics such as under the sea or different countries. Take some pictures. The iPad, in particular has a fantastic camera. Usually featuring two cameras, all tablets are a great substitution for digital cameras in the classroom. As the class has multiple devices they are perfect for taking along to your school garden or on a trip and record what they have seen. I am always harping on about PicCollage For Kids, a great collage app which allows students to easily create labeled pictures, sequences and collages of photos they have taken themselves and used from the web. Using the camera roll on the iPad also allows students to change filters and edit their pictures. The camera also is great to use for FaceTime. This amazing feature enables people outside the classroom to speak to the class, lecturing in the field. It is also exciting for foreign language classes, speaking face to face with another student in another country speaking another language. Make some tunes. It is not just in the classroom that tablets are used to make music… professionals are also using tablets to make their music. You can use so many different apps. 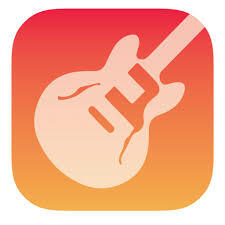 If you are using Apple then their FREE Garage Band is so easy to use and so effective. For Android, Caustic 3 is probably the go to App. There are such a huge range of music Apps available make sure that you Google the one you are thinking of using and check out the reviews- especially if you are paying! Note taking using an iPad is not only quick but you can type, take voice recordings and annotate. Inserting pictures web links and draw your own pictures and diagrams, Notes has become a brilliant interactive tool. 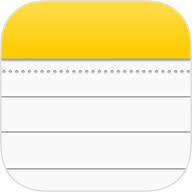 If you are using the iCloud to store your notes, they can also be shared between iPads and online for collaboration. Augment your reality! 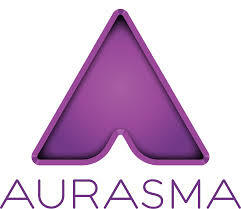 Check out the Aurasma App. By creating an Aura and holding an iPad over it, you can add to the reality of the real life picture. You can add a website, video, picture or anything you fancy. There are loads of ideas of how to use Aurasma in the classroom on YouTube with interactive word walls, tutorials of maths and interactive tours. Blog it. Have your class got a lot to say? Why not get it out there! You can start a class blog so easily though your own school website or by signing up to Easy Blog Jr (iOs £4.49). There are quite a few blogging apps now available, you can get started quickly and easily. Give your students a voice and give them the opportunity to share their thoughts with the masses- or their parents and each other at least! Help us to get you the latest technology in your school! HardSoft are a computer and finance specialist and are able to offer schools great deals on operating leases. With an iPad Mini 2 starting at just £6.60 +VAT a month we have so many great deals. Our iPad leases come with warranty, telephone technical support, rugged cases and accidental damage cover leaving you with no hidden costs! If you want to get a 1-to-1 scheme up and running in your school then take a look at our parental leasing solutions. For more information call 0207 111 1643 or email sales@hardsoft.co.uk. We look forward to hearing from you!